Okay, I am officially recommending this product created by Zero Lemon. This one has made me extremely happy on my recent travels where frankly, it’s hard to find a power source outside the hotel room. These days, our phones are everything. They serve as our Camera, our Phone, our Text Messaging Device, our Email, a Light Source, a Mini Computer for Browsing, a GPS Navigation Device, our Music Player, and so so so much more. 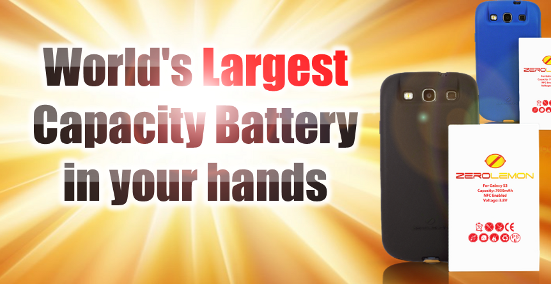 With batteries getting more and more slim and claims at better and better battery life, the truth of the matter is: if you want to use all the features, you still need a serious power backup. This morning I got up, made a call, surfed the net on my phone for a bit, and got ready to go sight seeking. I easily took more than a hundred pictures. I used the GPS to navigate myself back to the hotel and then used Dropbox to upload all the photos online. I made a couple more calls and sent some text messages. Doesn’t sound like much, but usually, all of these actions over a 8 hour period can cause some serious strain on a battery. With Zero Lemon’s 7000mAh, I barely cracked 75% of the remaining juice in my phone. I tested this device before leaving on this trip. I was able to make all my calls (1 hour a day), use my podcast and Pandora (2-3 hours / day), Bluetooth to my car nav (1 hour per day), send several texts (20 per day), and surf my news before going to sleep (45 min). It took 4 days to get under 15% battery. The science is simple, just pack more cells into the battery, make it bigger. I’ve gotten a couple of comments, the phone is bulky, it’s true. But I use the heck out of my phone. And this battery gives me tremendous confidence as to it’s life. In the normal day-to-day, I’ll use the slim style with only 2100mAh, but any chance that I’ll be out and about for a bit, lots of pictures, major GPS use without a USB charger, Zero Lemon, thank you! It’s about $40. Available on the Samsung Galaxy S3, Galaxy Note II, and Galaxy Nexus. It comes with a protective case padding. This entry was posted in ***, Car Computing, Electronics, Mobility. Bookmark the permalink.